Has your yard been properly prepared for winter? Winter officially began December 21st, however it arrived ahead of schedule with the early snows and cold temperatures before many winter lawn care chores were completed. Here is a checklist of 7 winter care tips that will help your yard survive the cold winter temperatures and come back healthy next spring. Clean your lawn of leaves. Soggy matted leaves keep oxygen from getting to the turf. Remove vegetable plant and vines. Insects leave eggs on these plants and will hatch in the spring. Mulch tender plants, perennials, bulbs, and less hardy ornamental grassessuch as Mexican feather grass, northern sea oats, Japanese forest grass, blood grass and pampas grass. Prune the cold hardy grasses like Karl Foerster, blue fescue, blue avena, and little blue stem to staggered heights to provide winter interest versus a blunt cut. This helps to prevent the grasses getting broken down by heavy snow. 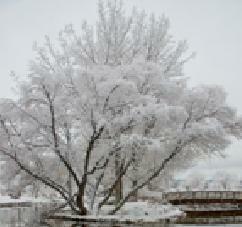 Prune shrubs, trees, and evergreens to avoid being broken by heavy snow. Do proper winter watering. Many homeowners assume the snow will provide the water needed. However, the expec ted snowfall in winter is between 12 and 15 inches which equals to only 1 inch of moisture. This not sufficient for lawns, plants and trees. Low humidity and low water cause winter drought. Unfortunately the results do not show up until early summer. Best practice is to water lawns, plants, and trees at least monthly during warm days when the soil is not frozen. The drier areas of your yard will be the south and west facing slopes where the sun first melts the snow and will dry out the soil. Check to soil moisture on warm days and be ready to drag out hoses for watering. Treat winter mites.Mites thrive and feedon the dry winter grass on lawns facing and sloping south and west. Winter watering is a preventative measure. Use insecticide applications if you have had previous infestations, or want preventative protection against turf damage. It is a good insurance policy that is far less expensive than replacing large areas of turf. Want winter lawn care services Done for You? 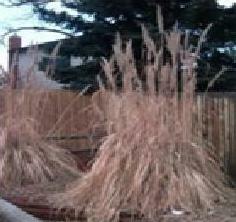 or Call Best Yard @ 720-851-7550!